This dessert-dwelling cryptid is described as being bright red, and approximately 2-5 feet long. It is reported to slay its victims by either spewing acid into their prey’s faces, or electrocuting them. In 2005, Richard Freeman boldly led a four-man team from the Centre for Fortean Zoology to Mongolia in search of this mysterious and deadly beast. (This intriguing documentary about the expedition is more than worth a viewing). 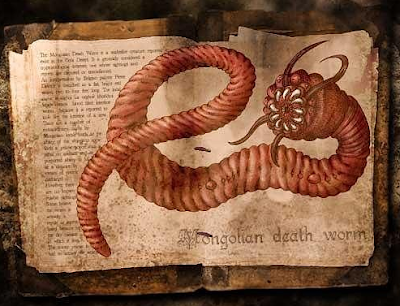 While an actual “worm” would most likely not be able to survive in a dessert, theories abound that the Death Worm is most likely some sort of snake, or perhaps an amphisbaenidae. Is Sasquatch-Spotting The New Whale-Watching?